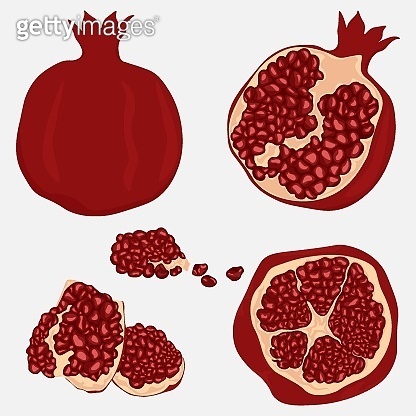 Whole and cut pomegranate icon set. Whole and cut pomegranate icon set. Flat cartoon vector illustration.